When it comes to beaches in Ios, we’re spoilt for choice. We’ve got over 35 gorgeous beaches, and even more hidden coves and bays. 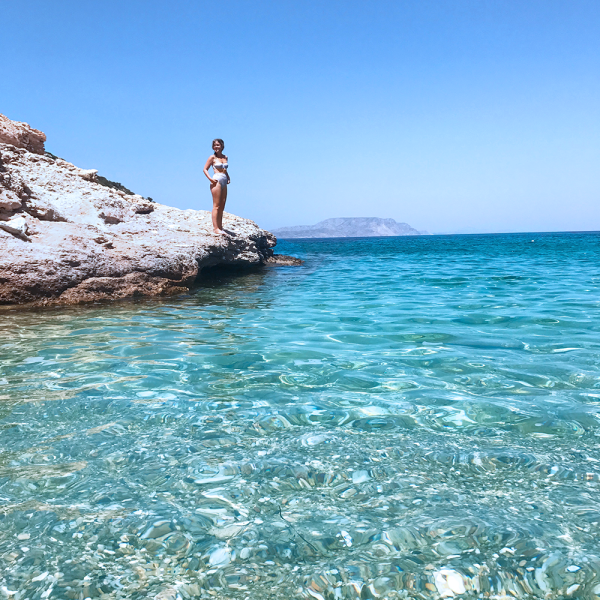 You can guess that each of these beaches, tucked away in the Cyclades Archipelago, are finished with golden sand and sparkling blue water. In Fact, our beaches are famous and you may have already spotted them in a few film productions including ‘The Big Blue’ and ‘Ginger and Cinnamon’. Whether you’re looking for a beach that’s close to town to wind down, or you’re looking for a hike and adventure, you’ll find a beach that you love on Ios. 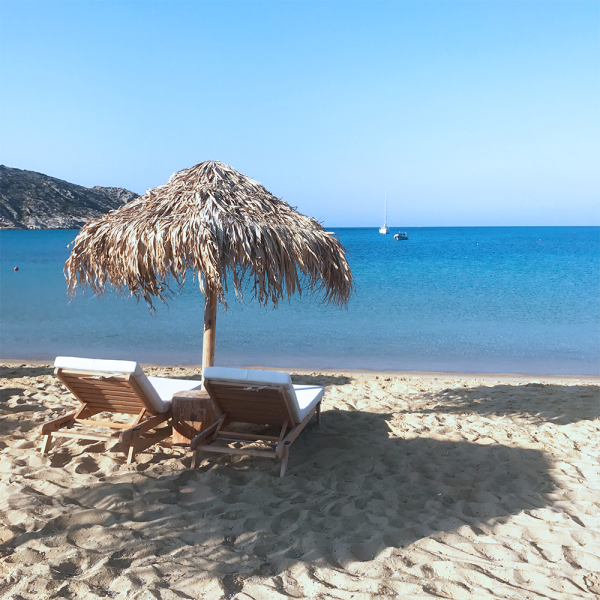 When you find the perfect beach, you won’t be far from any number of delicious local Greek Tavernas where you can get all your favourite post-beach Greek eats. 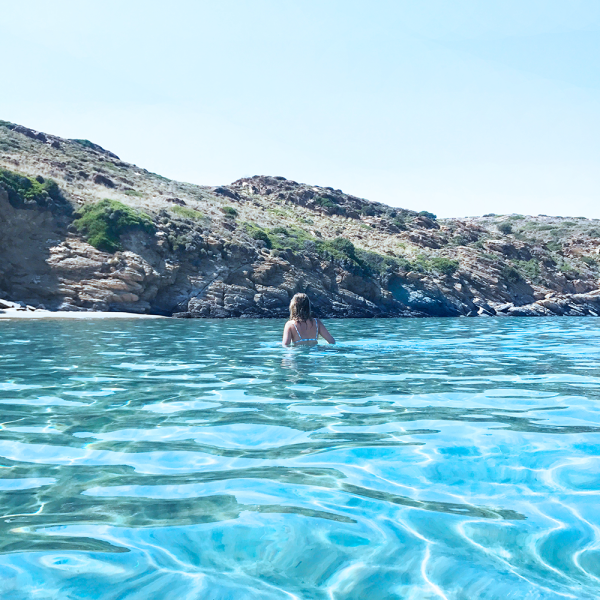 We’ve pulled together a list of our top 4, however there are so many quiet gorgeous beaches dotted all around the island, so take some time to explore. Think crytal clear blue waters and golden sand that stretches right up the beach. Mylopotas is arguably the most popuar beach and is dotted with umbrellas for beach go-ers to relax and get some shade while enjoying this beautiful beach. It’s also a mecca for food lovers with so many fantastic restaurants near by. When you go, be sure to look up to the cliff to your right and you’ll spot Harmony overlooking the gorgeous Aegean sea. If you go a few beaches around you’ll find Manganari Beach. Manganari is formed by four consecutive beaches that join to form a breathtaking lagoon and one of the most adored spots in the Aegean. Whether you want to enjoy the sun on the main beach, or adventure the amazing coves that jut off from the Lagoon, Manganari is worth a visit. 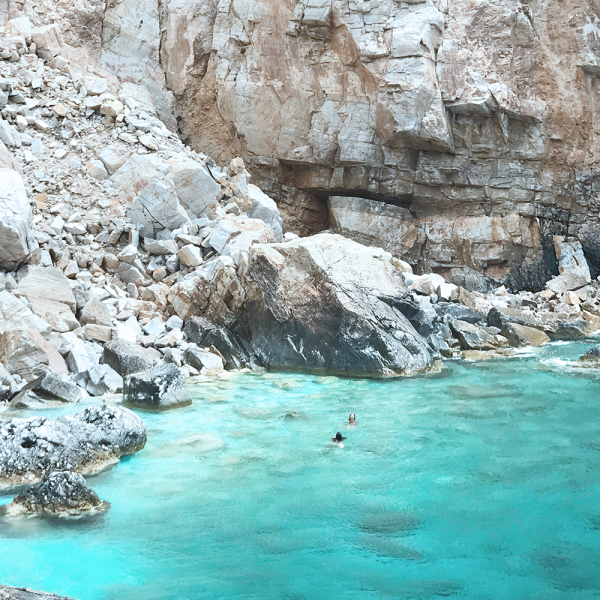 Remotely tucked in the east of the island is Psathi beach, which offers a long and quiet stretch of white sand as well as the well loved Alonistra taverna. This beach is an excellent spot for windsurfing, and curious beach goers need only to wander around the coves surrounding the beach to stumble onto golden sand and private beaches that overlooking the stunningly clear ocean. On the east side of the island you’ll also find Theodoti beach, a favourite amongst locals for it’s long expanse of white sand, clear blue seas and delicious tavernas that surround the beach. Theodoti is one of the widest beaches as it sweeps the length of the bay, and instead of umbrellas you’ll find plenty of places to find shelter underneath the trees that line the beach. It’s a must do for quiet beach lovers!